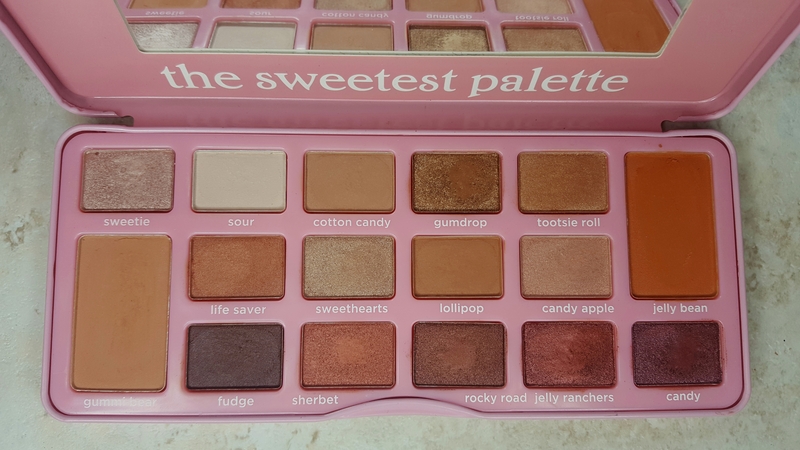 The palette has similar packaging to the chocolate palettes from Too Faced. 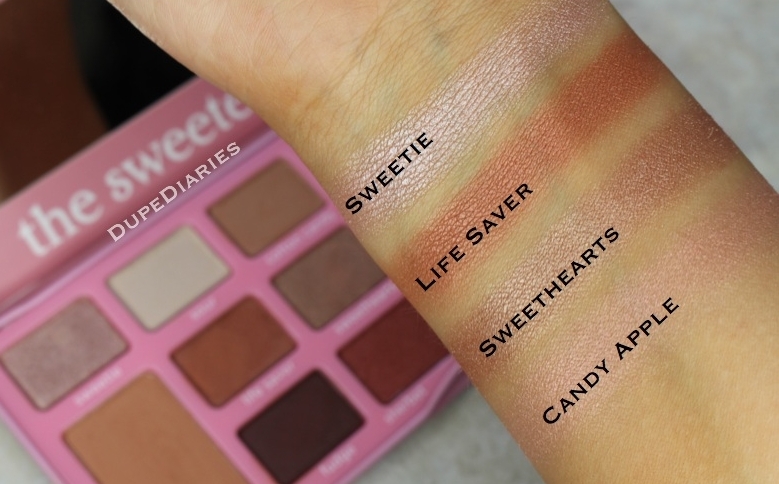 The eyeshadows in this palette also have a slight sweet scent to them, however the “Sweetest Palette” is much more bright in packaging appearance. 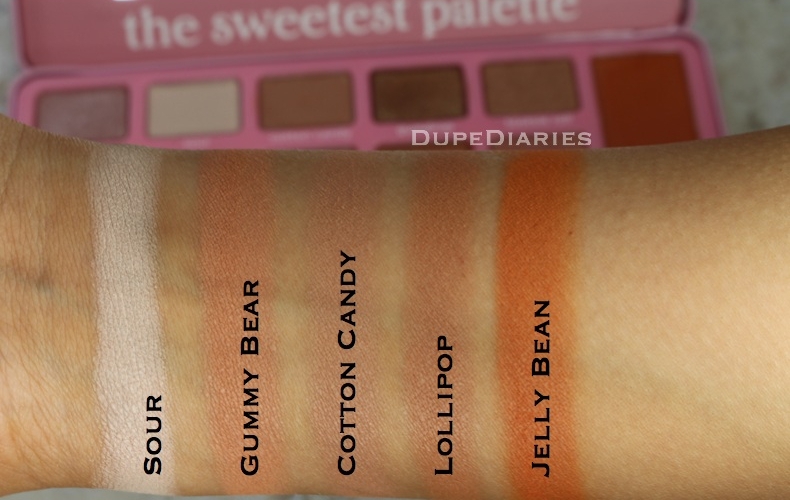 Above are the matte shades from the palette. These are all very pigmented and very smooth to the touch. Each of them actually blend very nicely. 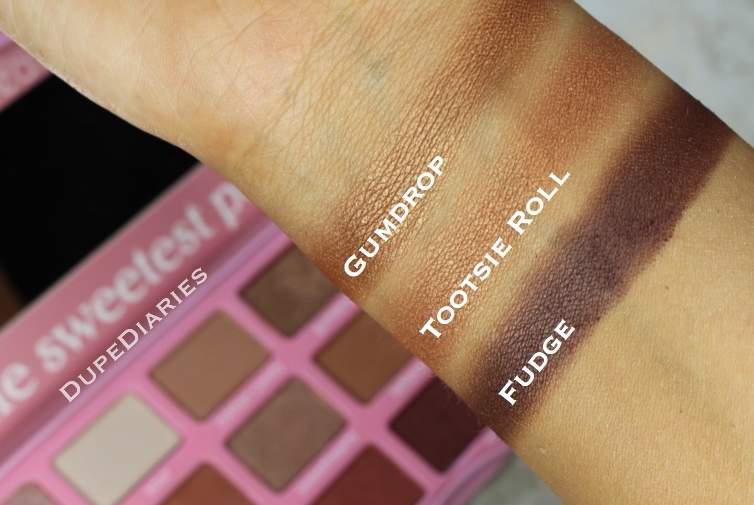 For these palettes, I was slightly expecting more pops of color, but I’m pleasantly surprised with the shade range. 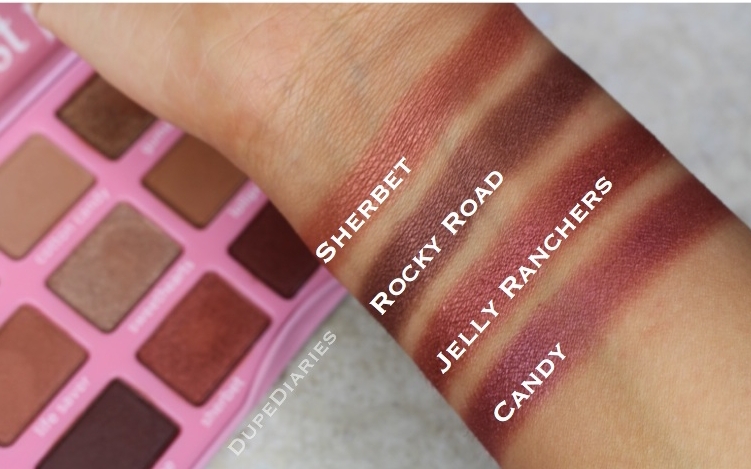 Overall the eyeshadows in this palette are personally shades I’d go for on a daily basis. 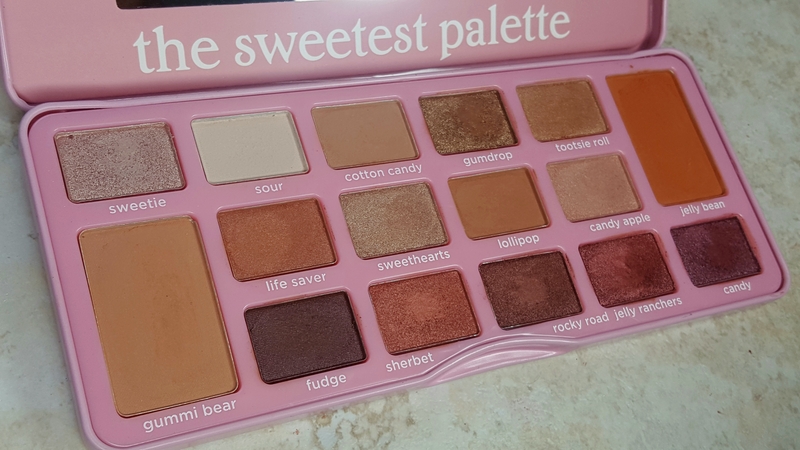 So would I reccomend this palette? Yes. Especially if you aren’t one for super dramatic eye looks. This one is a definite go to!